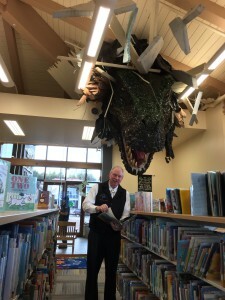 Senator Stedman in the Sitka Public Library Children’s Section with the resident T-Rex. 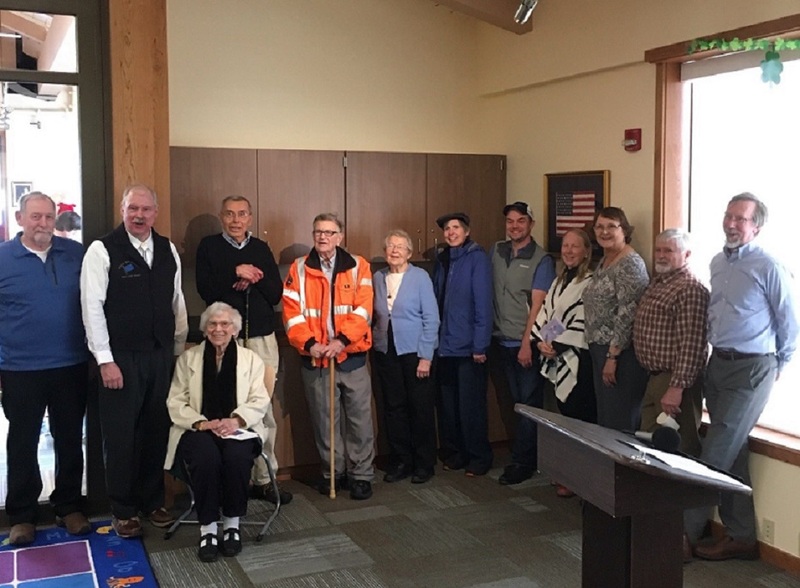 The grand opening celebration of the new Sitka Public Library was held on March 20th. This date coincided with the 93rd anniversary of a library in Sitka as a local institution. I was pleased to see Sitka take advantage of the Library Construction program that I created. The program was modeled after the much successful Harbor Matching Grant program. Recently constructed libraries in Southeast that utilized 50/50 percent match funding between the State of Alaska and communities; will serve our citizens and young people well into the future. Improvements made in the new libraries included upgrades in services, media, internet, meeting rooms, and building operation system advancements. Libraries serve a very important role in our communities. Senator Stedman with the Sitka Public Library board and supporters. At the invitation of Governor Walker, I joined him in Ketchikan with local officials for a face-to-face discussion on February 29 regarding the Gravina Access funding. 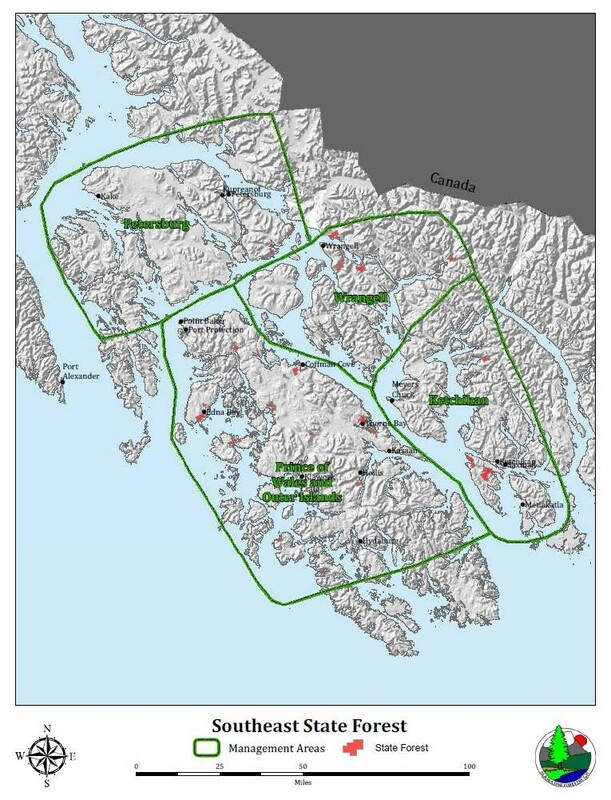 The good news is we will finally be spending what is left of the Gravina Access funding on local access upgrades to the airport and other transportation projects vital to Ketchikan and Southern Southeast Alaska’s economy. The Governor assured us the funding will stay in Ketchikan vs. the Southcoast Region as previously stated by the Department of Transportation (DOT). The history of this project is long and convoluted as well as receiving a lot of work over the years by my staff. One opportunity we took in this process was commissioning a legislative audit in 2008 of the DOT and the project. The primary goals of the audit was to ensure the federal and state funds for the project were being managed properly and to let DOT know that the legislature was watching their handling of the funding. I was concerned because over $100 million in federal funds had already been siphoned away towards projects in other parts of the state. Originally, the US Congress approved over $245 million for the project. This audit helped preserve the remaining $96 million currently available. Local Ketchikan Officials and the DOT will now begin a process to determine and finalize projects, then encumber that funding so construction can begin. I offer my appreciation to the Governor for his attention to Gravina Access as well as engaging with my office and Ketchikan’s local officials. My office will continue to monitor the process and stands ready to assist when necessary. I was pleased by the announcement from Department of Natural Resources (DNR) Commissioner Mark Myers of the recent department adoption of the Southeast State Forest Management Plan. This is another key piece for our Timber industry as it was hard hit by the downturn beginning in the mid 1990’s. The Southeast State Forest Management Plan will provide management towards provision of a viable and stable timber industry. Keeping a working timber industry in our region provides for multiple benefits to our economy. The Alaska State Legislature passed House Bill 162 in 2010, which was the creation of the Southeast State Forest. I supported this bill and revision during the legislative process while on the Senate Resources and Senate Finance committees. Map taken from page 43 of the Southeast State Forest Management Plan. The Senate Finance Committee will be hearing public testimony from the Southeast communities on the FY2017 operating budget (SB 139 & SB 140) on Monday, March 7 and Tuesday, March 8. Southeast Alaskans may testify in-person at their local LIO. 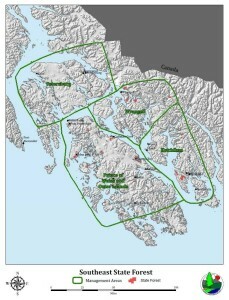 To locate the nearest LIO, call (907) 465-4648 or visit http://akleg.gov/lios.php. If you live off the road system or in a community without an LIO nearby, you may send in your written testimony to the Senate Finance Committee at Senate.Finance.Committee@akleg.gov or call (907) 465-3753 for assistance.